Sometime in the mid-2000s, hedge fund owners got an idea. Financial markets are impacted by the news — so if you can thoroughly understand the news, and do it quickly, you can have a headstart on changes in the market. Using artificial intelligence, they devised software that could instantly analyze breaking news, assess its meaning and, within seconds, make trades based on that analysis. Like many things in the world of hedge funds, this AI remained a toy for billionaires and professional investors. But Amareos, a Hong Kong startup, is looking to bring it to the people. “We are trying to democratize big data,” says Philippe El-Asmar, co-founder of Amareos. Amareos is about as “big data” as you can get. The service analyzes more than one million websites and a plethora of social media networks. Using an artificial intelligence developed by partners Thomson Reuters and Market Psych, Amareos takes the temperature of the Internet on specific issues. 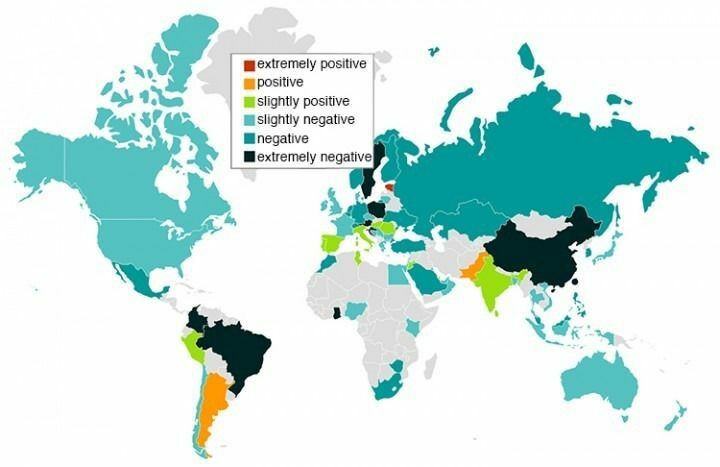 Interested in global sentiment on the U.S. dollar? 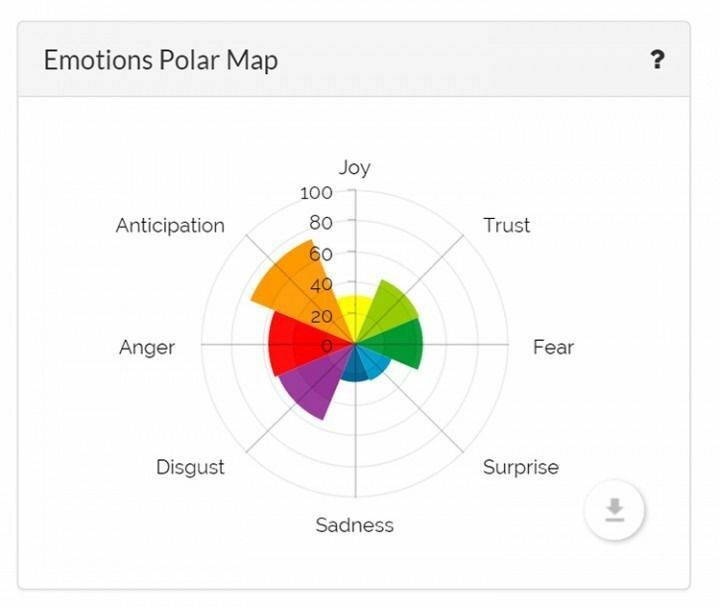 Amareos can analyze the global chatter on the currency and present users with a detailed breakdown — how many people are angry about it, how many are trustful, how many are disgusted. How the Internet feels about the U.S. dollar today. Amareos was launched last year, and is still in its early days. The service can analyze feelings on currencies, equities, commodities, and countries themselves. But there is no reason that it needs to stay in the world of finance. “Right now we’re only focusing on financial markets, but what we’re doing could be applied to anything — politics, PR, marketing,” says Philippe. It’s easy to see how a tool like Amareos could quickly outgrow its financial sector focus — its data would be useful for anything from testing the impact of an ad campaign to polling the public perceptions of a presidential candidate. It is free to open up a trial account on Amareos, and for the data curious, the service is a must-try. I signed up for an account and was, in moments, seeing that the global sentiment for coffee beans is a bit negative, but uranium is wildly popular. People are sad about the prices of natural gas, but they love palm oil. Argentina is looking good today. As of today, the world is really excited about Estonia’s prospects — if only the same could be said for Ghana and Brazil. It’s addicting. Beware that if you sign up for Amareos, you may suddenly spend hours seeing how the world feels about Bulgaria or the Argentine peso. Amareos works as both a business-to-consumer (B2C) and business-to-business (B2B) operation. On one hand, it has single-user licenses that enable traders to tap into the service’s wealth of information. On the other, Amareos works with large institutional clients like UBS to provide specific big data and AI solutions. Moving forward, Philippe says the Amareos team plans to index some 8,000 stocks for analysis, and also expand the company’s language capabilities. For now, Amareos only analyzes news and social media chatter in English For now, Amareos only analyzes news and social media chatter in English — it is soon rolling out a Mandarin and Japanese user interface, but those still rely on data pulled from English-language sources. Looking down the road, Philippe wants to expand the AI’s ability to understand Chinese and other languages, to provide an even more thorough understanding of the world’s sentiments. Of course, much of this is easier said than done. Adding Chinese language support isn’t as easy as translating an app from one language to another — it requires the same kind of deeply knowledgeable, irony-and-sarcasm-understanding AI to be developed for a completely different language. But Philippe is confident that Amareos can pull it off, and others seem optimistic as well. The company has become a hot topic in the Hong Kong startup scene, gaining admission to the Baidu- and Standard Chartered-backed Fintech Supercharger and the UBS- and Accenture-backed Finance 2.0 conference. Amareos still has some time to go before it’s a household name, but it’s clear to see that the company has tapped into something big. Previous articleLeonardo DiCaprio tackles climate change in Oscars acceptance speech, doesn’t mention how long he waited to win! !